Download Cisco Linksys WUSB6300 Driver And Firmware for Windows 10, Windows 8.1, Windows 8, Windows 7, Linux and Mac. Cisco Linksys WUSB6300 delivers speeds up to 867 Mbps speed on Wireless-AC 5 GHz band or Up to 300 Mbps speed on Wireless-N 2.4 GHz band. The Linksys WUSB6300 USB 3.0 adapter enables you to connect your computer to a wireless-AC network, so you can easily stream high-definition video and enjoy high-speed gaming. The WPA-TKIP, WPA2, WPS and WEP protocols help keep data private. 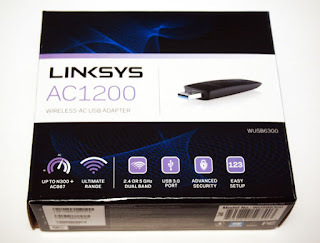 This router work great at almost every device, including you old device too.